The world’s former number one chef, Ferrán Adriá, visited Tenerife in May as part of a project sponsored by Telefónica to work with students from all of the Canary Islands to reinvent a classic Canarian dish, puchero – a mishmash of a stew which can include beef, pork, chicken, chickpeas, salted rib, potatoes, green beans, pumpkin, courgette, carrots, sweet potatoes, cabbage, garlic, sweetcorn, leek, onion, tomato and herbs and spices. A classic dish which features on many traditional menus in the hills, but sometimes only on certain days. 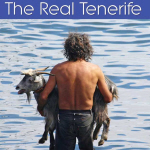 Instead of being pleased the most revered chef in Spain was helping showcase the gastronomy of both Tenerife and the Canary Islands, some resented the fact that an ‘outsider’ had been invited to do it. The naysayers felt a Canarian chef should have been given the task of recreating a puchero for the 21st century. Such views reveal an inward looking attitude which is ultimately counterproductive, a stance which hinders promotion of the islands rather than helps it. Ferrán Adriá at El Bulli. That tiny object on his hand exploded with evocative flavours. Those who are up in arms about a ‘foreigner’ chef’s new look puchero are missing the obvious benefits. Like some complainers have correctly pointed out, there are plenty of talented chefs in the Canary Islands who are more than up to the job of breathing new life and flavours into an old dish. Here’s the thing. Some of them already have. We’ve eaten a modern take on puchero at El Jardín de la Sal on La Palma; had a vegetarian version at Casa Efigenia on La Gomera, and also enjoyed puchero croquettes (I can’t remember where that was). 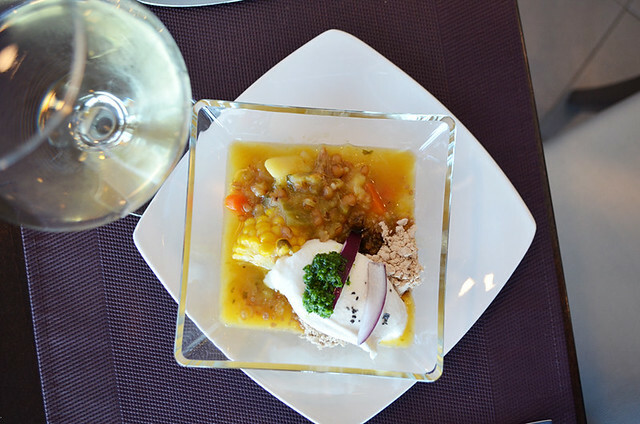 Talented chefs in the Canaries are reinventing traditional dishes all the time. 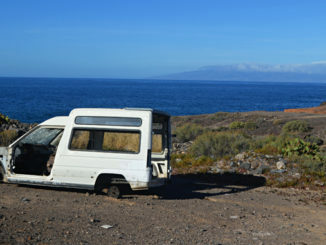 A modern take on puchero on La Palma. But here’s a question. How many of these dishes make the news? 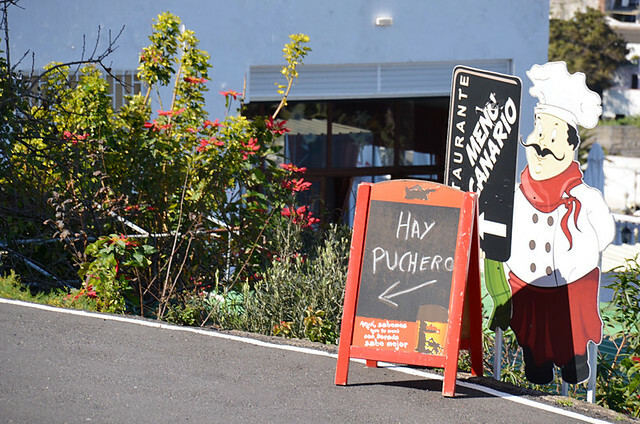 Before anyone who is seriously clued in points out Casa Efigenia gets mentioned in lots of travel articles, that’s not because of the puchero it’s because it’s a traditional restaurant in rural Gomera which happens to be vegetarian; a rarity. Mostly they don’t. New takes on traditional dishes aren’t newsworthy. But Ferrán Adriá’s puchero has made the newspapers, TV news, and is a hot potato on social media. All of which raises the profile of Canarian gastronomy beyond the islands. On an island whose food scene has been undeservedly sneered at in the past, still is by some, it’s a huge plus mark any time this happens. 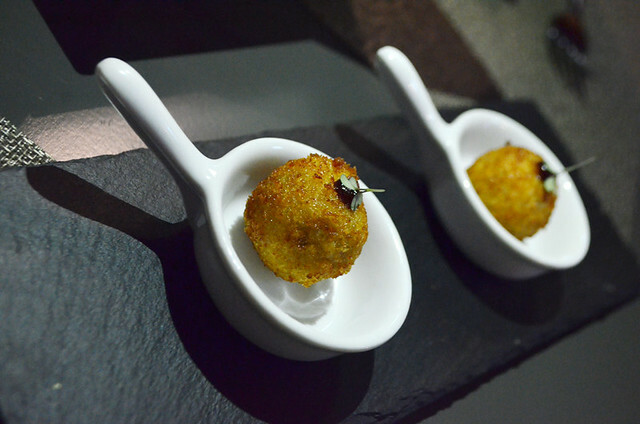 Many good chefs in the Canary Islands regularly experiment with humble croquetas. We’ve had puchero, beetroot, and banana among other creative croquettes. Ferrán Adriá. As well as the Catalan chef creating a new version of the dish, young chefs in catering colleges on all islands who were involved with the project were also tasked with putting their own creative touches to a new look puchero. For anyone with a passion for gastronomy, the chance to work with, and learn from, the undisputed best chef in the world is a dream come true and something special to add to their CVs. If all anyone ever does is look inward, they’d constantly miss out on the chance to learn from the best. Unfortunately a lot of people do just that, and then look to blame others when they miss out on opportunities. Ferran Adria with young chefs at El Bulli. 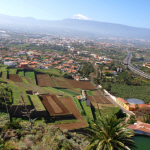 Where did talented Canarian chefs learn their trade? A few years ago Tenerife’s previous president suggested young islanders would benefit from travelling beyond the archipelago’s shores to learn professional trades and skills elsewhere, and then return with their newfound knowledge to benefit the island. It was an eminently sensible suggestion, yet he was lambasted. The irony surrounding the puchero polemic is twofold. The most talented Canarian chefs, like the most talented chefs anywhere, partly learn their trade in kitchens in various locations around the world, or from top chefs from other places . Many do just what Tenerife’s president advised. 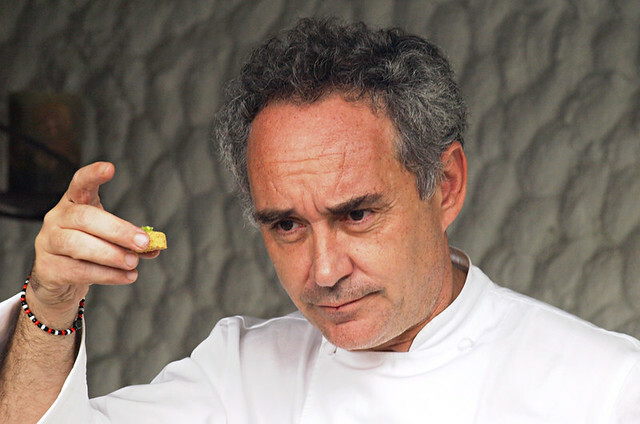 When it was open, there was an army of hopeful young chefs queuing up to spend time learning their trade at Ferrán Adriá’s El Bulli, the experience was worth its weight in culinary gold. 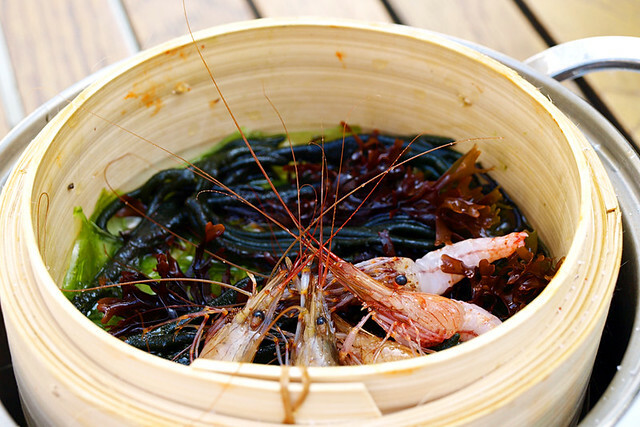 Asian fusion at El Bulli, before it became trendy – prawns with green tea and lemon grass. Apart from that, anyone who’s up in arms about a non-Canarian chef creating a new puchero doesn’t know much about gastronomy, either away from the islands, or on them. Take a look at the restaurants considered to be some of the best on Tenerife at the moment. Asian influences, especially Japanese, feature a lot, with traditional dishes being fused with Asian techniques (ironically, but not coincidentally a trend started by Ferrán Adriá). Where’s the local uproar about non-Asian chefs reinventing Asian dishes? Using influences from across the globe as inspiration is what good chefs do. By its very nature it’s not an inward looking profession. 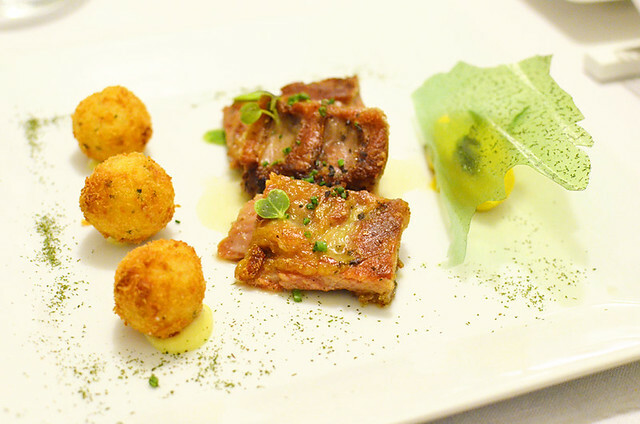 Papas con costillas y millo – a modern take on another classic Canarian dish, this time by an Asturian chef in a luxury hotel on Tenerife. As well as being a talking point about Canarian gastronomy, having Ferrán Adriá rework puchero provides talented local chefs with the opportunity to use it to their advantage and create their own version of puchero, if they haven’t already done so. Challenge the skills of the master and make sure everyone knows about it. Ultimately, having a world famous chef work his magic on a classic Canarian dish is priceless promotion for the gastronomy of the island.